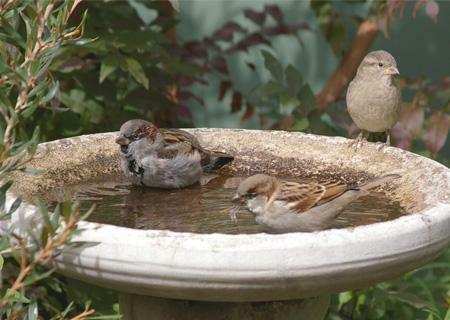 With enough food, running water, shelter, you can make your backyard a bird heaven. The birds may regular visit your backyard in the next season. Backyard birding is more than just entertainment. You could know how birds-friendly in your gardens, identify the birds, improve the environment to attract more birds to visit your gardens. The simplest way to do backyard birding is using your eyes plus Binoculars. However, you may not be sitting in your backyard every moment. It could miss good chances to watch the birds coming. Set up a wildlife camera will let you watch and record the bird activities in your backyard. You can even do the birding thru your mobile phone when you are traveling. What should you know about the wildlife camera for backyard birding? The bird feeders or bird baths are the perfect spot to watch the birds. When you choose a wildlife camera, the first thing you need to figure out is where to set up the camera. If the setup is very close to the watching spot, you will need a wildlife camera with wide angle lens. If the camera can’t be installed close to the watching spot, such as the bird bath, you can put it up on the wall. In this case, you need narrow angle lens in order to capture small field of view but bigger size of objects, it is like telescope. Here is the simple test to understand the field of view. Grab your mobile phone, turn on the camera, shoot to any object close by. You can see the image very clean, but the field of view is small. When you shoot to the far area, it see big picture with small objects inside. This is the same for wildlife cameras. You would need to decide where to setup the camera for birding in order to find out the best lens for your wildlife camera. 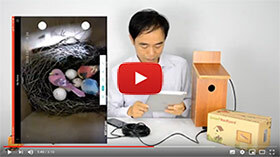 Do you want backyard birding on mobile phone anytime anywhere? If yes, you will need two things. One is the internet available in your house. Another is the wildlife cameras with the network compatibility. The camera you can watch on TV doesn’t provide you the way to watch on mobile phone or tablet, it is analog. The camera has to be digitalized before it could be reached over network. If you just want to watch the video or images on computer later, not real time, you have another option from time lapse wildlife camera. The video or image will be recorded and storage in the Marco SD card. When you want to watch the video or image, you retrieve the SD card and view it on the PC computer. It works exactly the same as digital camera in the market. All the cameras need power. Some of the wildlife cameras require DC power adaptor. 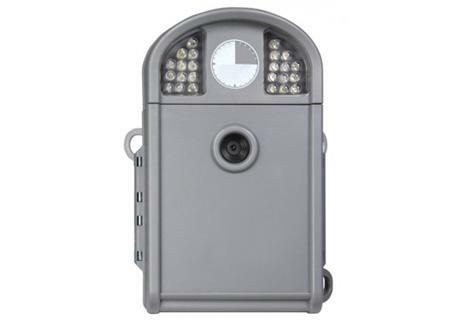 The other could be using the battery like time lapse wildlife camera. 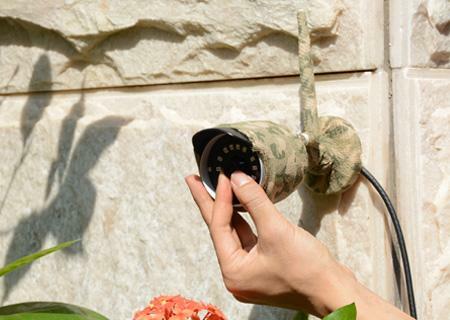 With power by battery, you can install the wildlife camera at different place, re-locate the watching spot easily. However, most of the battery power cameras don’t support online watching. 8 AA batteries are too less power for a camera 4-hour keep running plus network streaming. If you use DC power adaptor, you need to hardwire at least from close outlet to your installed position. PoE (power over Ethernet) wildlife camera allows single cat5e cable to carry both power and network, you just have to hardwire back to your router instead of the close outlet. The last solution is the WiFi wildlife camera plus external battery pack. It is wire free solution. The network connection will be done using the WiFi network. With the properly battery pack, the WiFi wildlife camera can support over 2 days before you need to re-charge the battery. One critical thing for WiFi wildlife camera is you have to make sure the WiFi coverage is good enough in the installation point. Now, let’s take a look at several primarily wildlife cameras for backyard birding in the market. Those cameras are design and built basing on trail camera technology. Like all other trail camera, you only need AA battery to power up. It is portable. You can change the watching spot by re-locating the camera. The video is recorded into SD card, you will need to retrieve it and play on your PC computer everything. This camera was built using IP technology. It can keep streaming the live video to your mobile phone or tablet over network. You will be able to watch the live when you are traveling over country. The video or image is recorded into 32GB built-in Marco SD card for remotely accessing. This is the camera built with WiFi technology. It accepts both DC12V power or battery pack. 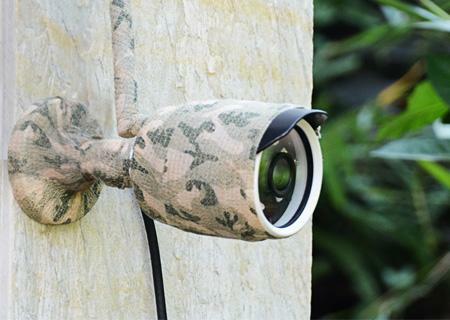 With power by battery pack, the camera works similar as time lapse wildlife camera. In this case, you need to re-charge the battery every few days. Both live and video files could be accessed remotely with your mobile phone or PC computer in real time. 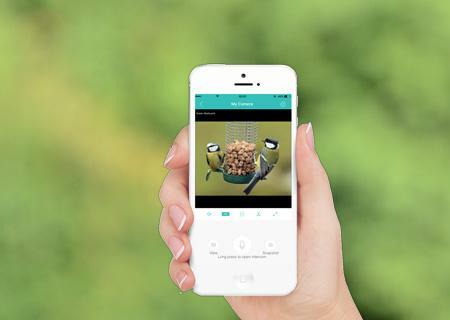 You can even share the backyard birding to your family or friends with same app on their mobile phone. Want to see the building nest, birds feeding their child, even the fledgling fight, you can choose best bird box camera for your birdhouse.